Hallucinogenic mushrooms have been found to help alleviate depression, even in severe cases where other kinds of treatment fail to do the job, and new research is providing insight into the secrets of how our brains function. Led by Dr. Robin Carhart-Harris, researchers from Imperial College London have used the psychoactive compound psilocybin, commonly found in so-called magic mushrooms, to treat depression in patients and have used brain scan techniques to observe how precisely the hallucinogen influences the brain, according to a report by The Guardian. The fact that psilocybin has now been shown to be a potent cure for depression became known in 2016, when Carhart-Harris’s team first used the chemical compound on a group of patients. As Sputnik reported at the time, the initial test included a group of 12 patients, aged 30-64, who failed to find a cure for their condition via conventional pharmaceutical methods. Eight patients out of the original twelve claimed a full remission from what they had documented as decades-long battles with mental and emotional distress. The results were recognized as a major medical success. “For the first time in many years, people who were at the end of the road with currently available treatments reported decreased anxiety, increased optimism and an ability to enjoy things. This is an unparalleled success and could revolutionize the treatment of depression,” said Amanda Feilding, co-director of the research. During that initial test, however, the team observed further research would be needed to understand how exactly the psychoactive compound affects the human brain. 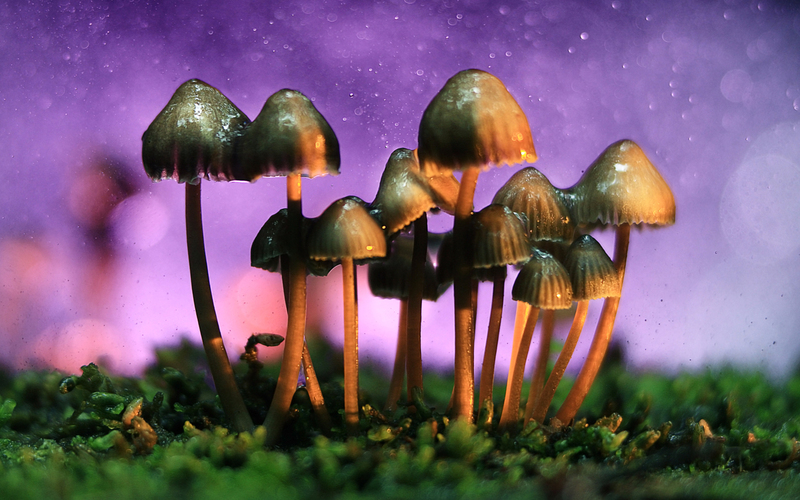 This year, the team gave the psilocybin compound to a group of 20 patients and the treatment was found to be largely successful — about half of the group reported feeling well just five weeks after the ingesting the medication. But this time, the team acquired additional data on mental activity via brain scans. First, the scans confirmed the previous year’s finding that psilocybin reduces blood flow in the area of the brain called the amygdala the area responsible for processing emotion — primarily those qualitatively assessed as negative, such as anxiety and fear. According to the BBC report, the team found that the greater the reduction of activity in the amygdala, the greater the improvement in reducing symptoms. According to BBC, the interconnected brain structure known as the “default-mode network” also became more stable after using the compound. As an added benefit, psilocybin appears to temporarily limit connectivity between certain parts of the brain. According to a Verge report, this disruption of connectivity is what causes the psychedelic effect of magic mushrooms, in which people lose their sense of ‘self’ — called by psychologists the ego — when experiencing the effects of the compound. But brain scans performed after the treatment were surprising, as, following the treatments, there turned out to be enhanced connectivity between brain regions. Researchers describe the effects by noting that psychedelics break old connectivity patterns and boost the brain to create new and healthier mental structures. This effect has been supported by the patients, who all reported some kind of welcomed mental reset. This year’s experiment has its weak sides, though, since the test group was still quite small; there was also no control group — a group of patients given the placebo treatment — to compare results. “This provides a clear rationale to now look at the longer-term mechanisms in controlled studies,” he said, cited by the BBC. This entry was posted in Health & Medicine, Psychedelics & Narcotics, Psychology & Psychiatry and tagged depression, magic mushrooms, psilocybin. Bookmark the permalink.